Shane at Squaw Valley, USA, his home. As I woke up this morning and realized the date, it dawned on me that it’s been 10 years since the world lost a great man. Skiing lost its greatest, most dynamic influence and I lost one of the most motivational people in my life both on and off skis. 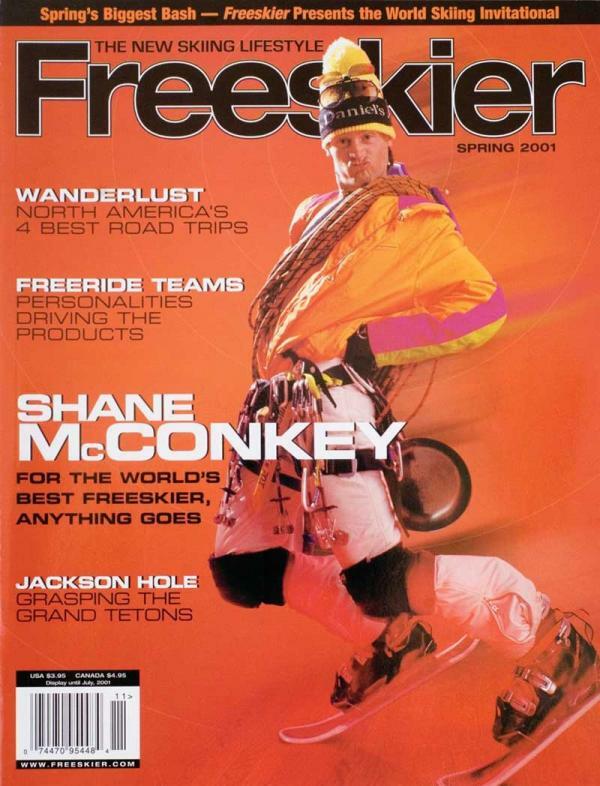 10 Years ago to date we lost Shane McConkey to a tragic ski base (skiing combined with base jumping) accident. In this he was pushing the sport he, for the most part, created, innovated, and progressed. For many people, they can recount exactly what they were doing when life changing events occurred, for me Shane’s death was one of these. Sitting in a college library scrolling through ski blogs instead of doing homework and finding this news brought me to tears. Shane was one of those people that changed the world in a big way on many levels but did with just being himself, and this is what made him so great. 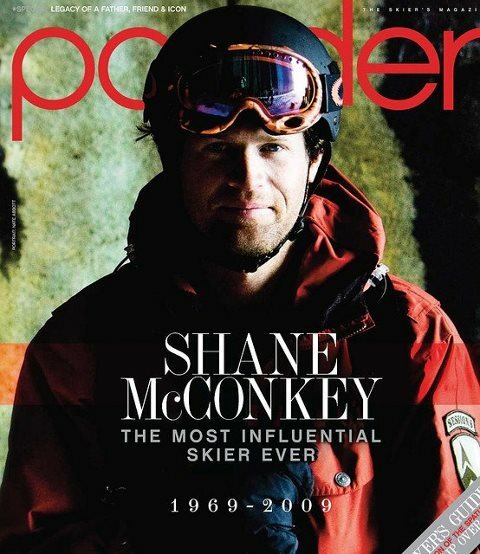 Yes Shane changed skiing forever by essentially developing, testing and proving the first real powder ski, yes he dominated every aspect of skiing at one point in his career, and yes he was one of the biggest names in skiing, but I feel none of this mattered to him. He was just doing what he loved and perusing it with passion and all these other accomplishments were just byproducts of him pursuing his passion. 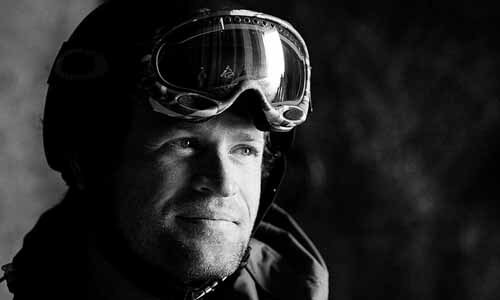 In losing Shane I lost a huge influence in my skiing but more importantly in my life. From watching, reading, and observing all that Shane McConkey was, it allowed me to take on a new perspective to which I live with today. Never take anything too serious, every day you wake up and are alive is a good day, no matter what you have to face, and from this, live every day to the fullest. I feel like in big part due to Shane I am 25 years old going on 13 and love it. Not to say I don’t take life seriously when needs be but, if at all possible let’s make life as fun as possible as much as possible. 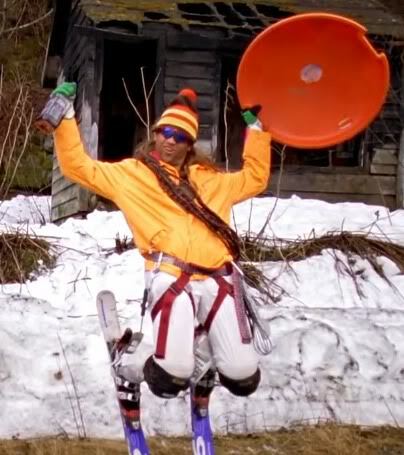 I still remember watching his part in the MSP film Yearbook for the first time and being blown away by the amazing footage of him skiing and ski-basing. In a film with some of the best skiers of the time and of current (Tanner Hall, Mark Abma, Rory Bushfield, Chris Davenport) Shane stood above them in my opinion simply because he was progressing skiing to a whole new level and to uncharted areas, yet again. From that point on, I popped that movie in the VCR and fast forwarded to Shane’s part every morning before I went skiing that season. Even to this day, on big powder days when I am riding Shane’s signature ski and brainchild, the K2 Pontoon (greatest pow ski ever made), I sometimes close my eyes for a second and pretend I am Shane carving down a huge face in Alaska. This influence that Shane continues to have over skiing has even been instilled on even the newer generation of skiers. I was waiting for some friends on the side of Red Dog leg at Squaw over the holidays this past year and observed a kid no more than 9 years old skiing with his father. They had stopped near the top and the kid said to the father, “Hey dad I am going to go first and watch my McConkey turn”. 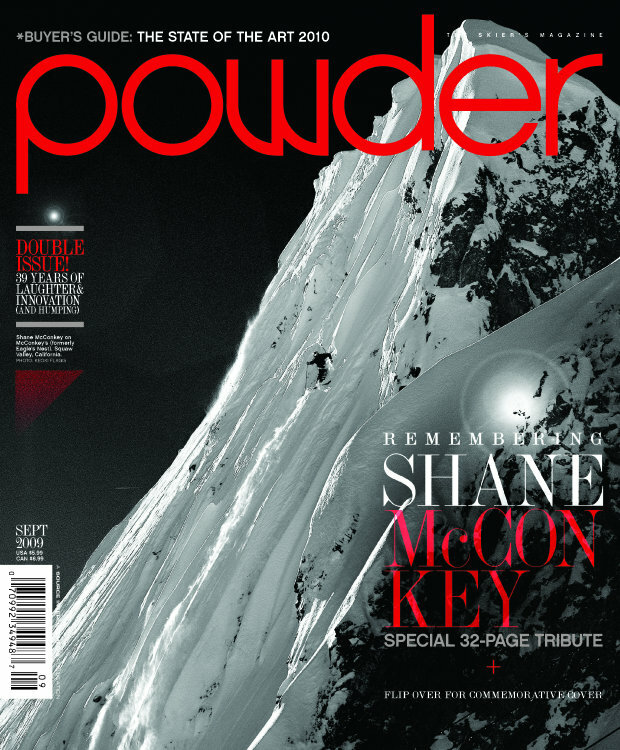 That put a big smile on my face, knowing Shane’s Influence was present even in the newest generation of skiers. Ski in peace my friend.